Episode 5 Preview | Book Fight! We’ve gotten some requests (no, really, we get actual emails [send us your comments, questions, and insults at bookfightpod@gmail.com]) to give listeners advance notice on the books we’ll be discussing, and that seems like a great idea, even though the truth is we’re barely organized enough to know the next, say, three books we’ll cover at any given time. 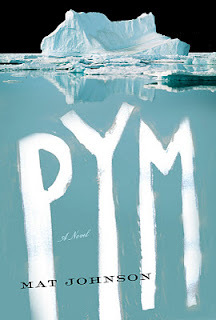 But one thing we can tell you: Episode 5 will be a discussion of Mat Johnson’s acclaimed Pym: A Novel (Spiegel & Grau, 2011). This book has gotten a lot of buzz, and it looks a little bit crazy (in the best possible way), so I’m entering this one with high hopes. As always, you’re invited to read along with us, if only to reassure the publishing world that there are still people who read (and buy!) books.